Darkness is something which is always around us in someway or the other. Especially when the sun sets, slowly darkness starts overtaking and prevails while ruling over the pitch black night and giving different signs to everyone. For some it’s sleeping time and for some the time to do things and so on. Those who sleep don’t have to be worry about anything but those who have to work especially the people in police or crime site or to do some research, it is their worse enemy because you just can’t see any thing. 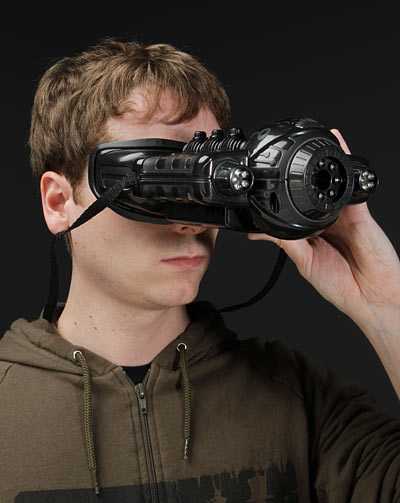 To remove this difficulty of vision at night without any one noticing, here is “EyeClops Night Vision v2.0 Binoculars”. Don’t mistake to count it as a toy, its real useful for night working as it has night vision with over and above a pop out flashlight. 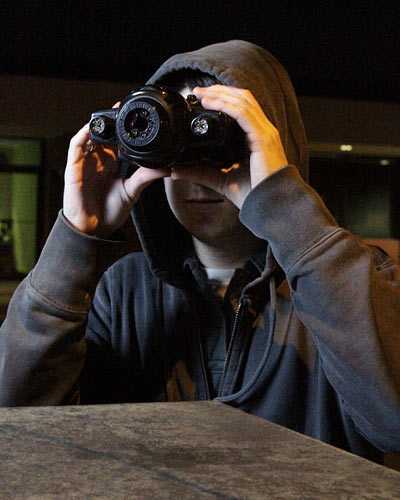 It’s more than a night vision binocular, which only helps you to see the distance object as shadow at night but by this Eyeclops Binoculars 2.0 with IR technology for night vision you can see the objects clearly with the help of the flash light. Even you can see up to a distance of 50 feet straight in complete darkness. 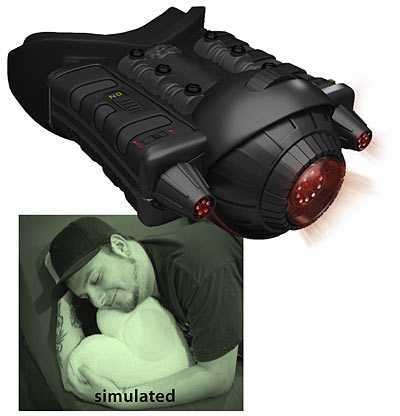 I forgot to mention that it has a eye width adjustment and focus adjustment, which you can set as per your eye sight power and you can see two display, one for day or on light which is colorful and black & white at darkness with a green tinted. You can have this binocular which is a dimension of 9” x 7” x3.5” with a neck strap approximate 13” long with a price tag of $79.99 . Even I suggest you to see some more such devices in this category like Telescope Strength Binocular and Pocket Microscope, which will help you to decide further.